As technology evolves, new applications come into play, broadening opportunities for different kinds of business. Right now, we’re seeing that shift for SMBs – the development of new, advanced and easy to use tools is giving smaller operators the chance to compete with larger organizations, by using the same tools they are to dominate their sectors. 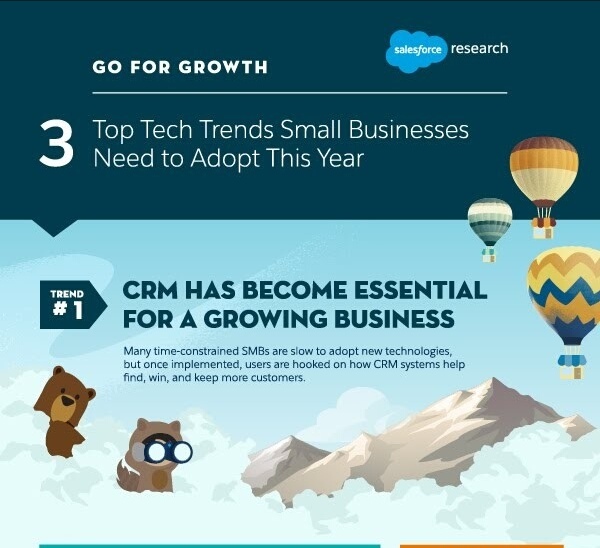 That’s the focus of this new infographic from Salesforce – in it, Salesforce highlights three advanced tech trends which SMBs can now tap into to maximize their performance. They may seem out of reach for small players, but as noted in the graphic, new opportunities are arising. It’s worth considering whether they may be of value for your organization.